2016 is the year of Mondi, Donna Mondi Interior Design that is. DMID is celebrating its 15 year anniversary along with Donna Hall saying her I do’s to fiance Dominick. To top it all off, Donna and Dominick are part of the I AM CHICAGO campaign spear headed by 900 N Michigan Shops that launched on June 28, 2016. We wanted to share a few recent events hosted by Donna. See below for the snapshots! Donna Hall of Donna Mondi Interior Design has many reasons to celebrate 2016. Having recently launched her newly designed website, thanks to Vibe Tribe Creative, Donna hosted a media brunch at LondonHouse where she welcome Chicago’s finest in journalism. Donna gathered the group of 15 editors and bloggers to share her 2016 indoor and outdoor entertaining trends. We’ve included top 3 of her outdoor tips below along with a couple of snapshots from the morning’s breakfast. Extend Your Interior: There’s a reason this rule is number one. When in doubt, refer to this as the golden rule of outdoor design. Your outdoor spaces should be an extension of the interior. Let There Be Light: Lighting is often times overlooked in exterior spaces but is one of the most important aspects. Because of the different light levels throughout the span of the day, it is important that you have options. Mix it Up: It's easy to go to a store and buy every piece you need from the same collection. It takes a little more time and effort to create interesting spaces, but the payoff is work it. If you're not sure how to do this, head to your favorite design blog or Houzz for inspiration. On June 21, DMID partnered with Marie Whitney of Two Penny Blue to welcome guests to her private residence on East Lake Shore Drive for an evening of Bubbles and Blazers. 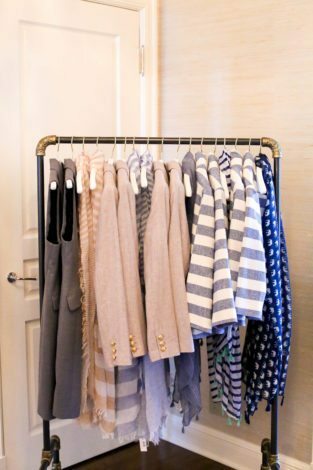 Guests gathered to view Donna’s lovely home and shop the summer collection of Two Penny Blue while sipping La Marca and sampling Nothing Bundt Cakes and Magnolia Bakery. Another special thanks goes to Debi Lilly for providing gorgeous flower arrangements. Below are a few snapshots from the event.